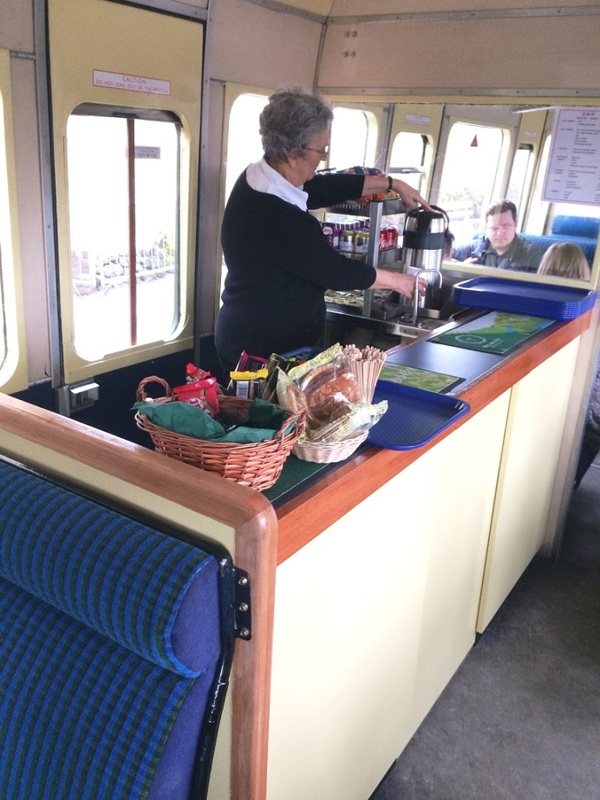 Our volunteer catering provides a service to passengers in our Buffet Cars on our train services and to our visitors in the Coffee Pot café at Winchcombe Station and the tea room at Broadway Station. We also provide catering facilities at our special events. This includes a griddle offering burgers, hot dogs and bacon baps. In addition we can offer catering for private bookings. If you enjoy meeting people in a friendly relaxed atmosphere, are numerate and of smart appearance, whether you are single, or a couple who wish to enjoy their hobby together, then you may well enjoy working with us. No previous experience is required as training will be given. The day begins about an hour before the first departure of the train or the café or tea room opening. You will ensure that the buffet/café/tea room is correctly stocked and the necessary equipment is on and working. As a food environment there are regulations to be complied with. These are not onerous and essentially common sense. There is in-house training to cover this as well as the duties and operating procedures. Most duties in the department include selling refreshments at the counter both on the trains and in the Coffeepot café at Winchcombe and tea room at Broadway. This includes preparing hot drinks, using the till and keeping the displays stocked. Most of the food items on sale are ready-packaged such as crisps and chocolate. In the Coffee Pot café a very simple range of sandwiches are offered. Currently in the tea room at Broadway cakes and ready to eat snacks are available. 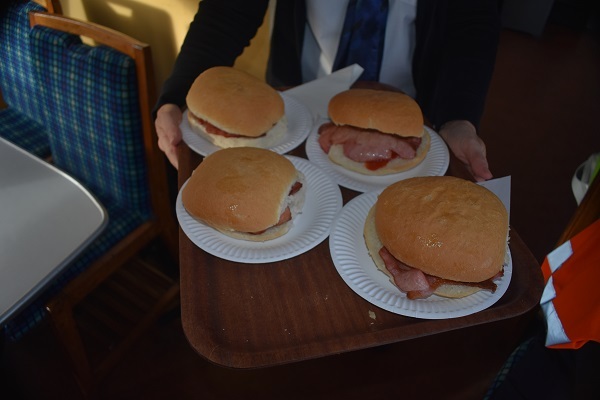 In our Buffet Car we offer our legendary bacon baps. The grilling of the bacon for these is an "optional extra" position for which you can be given training. Likewise on our griddle, should you wish to train as a cook for this, again there are opportunities for you to do this. Clearing tables after they have been vacated is all part of the work and, if working on the train, you are expected to help the Guard and Ticket Inspector clear tables throughout the train during the day. All of the duties include washing up! The café and tea room each has a commercial dishwasher but the Buffet Car, with 1950s technology, is the old fashioned way by hand! We also have two mini Buffets where hot drinks and snacks are available. The DMU offers a similar service at the purpose built buffet counter. Handling of cash and completing end of day returns is necessary but again training is given. You will be teamed with experienced staff until you are comfortable with the procedures. The basic uniform is a white shirt or blouse with dark trousers or skirt which you are required to provide yourself and includes wearing a name badge which is provided. 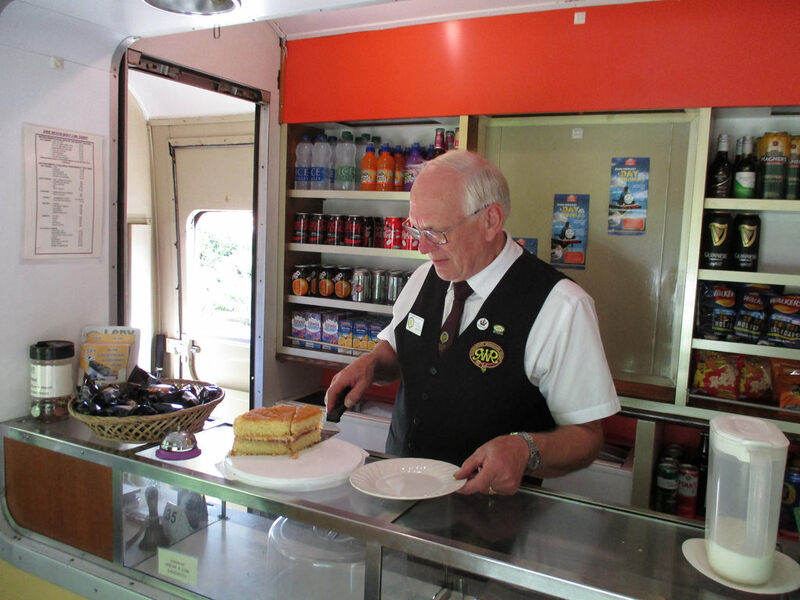 The Railway Catering Service is a major fund raiser for the railway and our volunteer work is highly valued. In return you are expected to act responsibly in the small unsupervised teams, use your initiative if necessary and to work on the days that you have volunteered for. You can opt to work in whichever location(s) you prefer. Rostering is achieved via the Heritage Operating Processing (HOPS) web site. We are recruiting into this Department. Please see here to learn how to become a volunteer.